Welcome to the Aston Villa Football Shirts and Jerseys store at Soccer Box. Here in our Aston Villa shop you can look for all the latest Aston Villa jerseys, including the home and away shirt, shorts and socks in sizes to fit both kids and adults. We also stock a selection of the official team training kit, as well as accessories and novelty souvenirs. Whether you are shopping for yourself, family or friends we are sure to have merchandise that suits your requirements. With secure online ordering and fast worldwide shipping bookmark this page, and make us your first stop for all your soccer jerseys. Aston Villa Shirts and more Merchandise Available for Online Orders! Aston Villa is one of the oldest English football teams; the team was founded in 1874. Throughout their long history they have had several major successes ensuring that the jerseys and kits are recognized throughout England and around the world as those of a top team. Be part of the nostalgic history, current highs and lows and a hopeful future by ordering your official shirts and jerseys today, but act fast, we only have limited stock available! 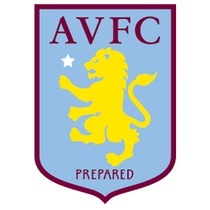 Aston Villa last won the top-flight league in 1981, however unfortunately in the season 2015-16 Villa got relegated to the Champions league, the second tier of English football. The home and away shirts and jerseys sold at Soccer Box are now officially designed and produced by the team’s new kit manufacturer Under Armour. We are a licensed supplier, ensuring that you are purchasing official team merchandise, manufactured to the highest quality and under license from the club. Don't compromise and ensure you buy your shirts and accessories from a genuine retailer, such as Soccer Box. 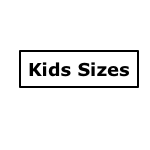 Several different kit suppliers have manufactured the clubs soccer jersey. Under Armour is the current supplier of the kit. Since 2016, the Under Armour logo has featured on the team’s football shirts and training kits. Under Armour is supplying the home and away shirts as well as training kit to the team. Look out for news and updates on the team's kit by checking out our blog and or watch reviews at our YouTube channel - scroll to the bottom of the page for links to both of these pages. The home Aston Villa Shirt colors feature a distinctive claret and blue theme. Aston Villa was the 1st team to wear these iconic colors as their home kit. The home football shirts has been the most popular selling of the team’s jerseys for many seasons. We stock the home jersey in kids and adult sizes from Small Boys up to XXL. The home shirt is usually teamed with white shorts and claret and blue football socks. If you are looking for the full kit, you are in the right place. We have the shirts, shorts and socks in a full range of sizes, but if you want the complete kit don’t hesitate the shorts and socks are in high demand and can sell out very quickly. The design of the Aston Villa away kits often vary more than the home shirts, making them a more unique and attractive option for many football supporters. Recent seasons have seen the team wearing a white and claret away jersey, and even a bold yellow and black design for the 2015/16 football season. The away shirts are also available in junior and adult sizes. Aston Villa play their matches at their Villa Park football stadium. This is the largest stadium in the Midlands having a capacity of 42,682. With increasing demand for tickets to watch the team play at home there are currently plans to increase capacity further. If funding can be sourced up to 51,000 football fans will be able to watch Aston Villa during each game. Many fans also travel to away matches such is the loyalty of the team's fans. Whether you watch matches at home, away, or in the pub the latest football shirt is a must have, and the simplest way to identify yourself as a proud and loyal supporter. Aston Villa has a large fan base mostly associated around the Midlands area. Each match day the streets of Aston, in Birmingham are littered with fans adorned in their football jerseys, kits and other team merchandise. So join the throngs, get yourself, the kids and the rest of your family the latest Aston Villa soccer kit while stocks last. The home and away football kits are a popular choice for fans. As well as the official shirts at Soccer Box you can shop for the Aston Villa training kit as well. The training kit is perfect for wearing alongside your football shirt at the match, for training or in the gym. Aston Villa’s football kit manufacturer design a stylish and unique collection of training kit each season, as well as fan accessories such the scarf, the baseball cap or Bronx hat. Browse our store, and use the links to the left of your screen to view what we have available. When you order previous season Aston Villa shirts from Soccer Box you have the option of adding Premier League lettering or sleeve patches to personalize your jersey. Whether you choose your own name or the name and squad number of your favorite football player your shirt will be printed to the highest standard using official Premier League lettering. Choose any name and up to two numbers for a fantastic price! The football jersey is a must have for any supporter. Show your support on match day and every day by wearing you team football shirt and accessories. Perhaps you are shopping at Soccer Box for a gift, if so check out the other Premier League team merchandise we have available. We stock the football shirt and kits for hundreds of team’s. If this isn’t the team for you don’t despair we stock football shirts, kits, training gear and accessories for club and national team’s around the globe. Use the menu at the top of your screen to navigate between Premier League clubs, National football teams, and International League clubs. Shopping for shirts, jerseys, kits and other merchandise couldn’t be easier at Soccer Box. Simply browse our online store and add your chosen items to the shopping cart. Place your order using our secure checkout and use either SagePay card processing or PayPal to complete payment. Sit back and relax! We aim to ship all orders the next working day (please allow longer during busy periods e.g. Christmas). You can choose between expedited and standard shipping services for both UK and International delivery. We will keep you informed of the progress of your order via email. If at any point you need to contact us do not hesitate to use either our customer service hotline on 01785 220225, or email us at [email protected] We pride ourselves on customer satisfaction, and our team is waiting to deal with any problems or queries you may have before, during or after the ordering process. Make Soccer Box your number one shopping destination for all football shirts, jerseys, training kit and accessories. Get the latest Aston Villa football shirts and official football souvenirs and place your order before we sell out.